Dharamsala, the quaint town of erstwhile British Empire is today home to his holiness the Dalai Lama and many Tibetans in exile. With the towering Himalayas in the backdrop, scenic Kangra valley below, clouds playing hide and seek with the sun, and conifers and evergreens creating beautiful shadows Dharamsala present a picturesque sight. The lively bazaars, the magnificent architecture of Buddhist monasteries, and fort and temples together make for a tourist delight. Add to it the spiritual note of Buddhism and yoga. 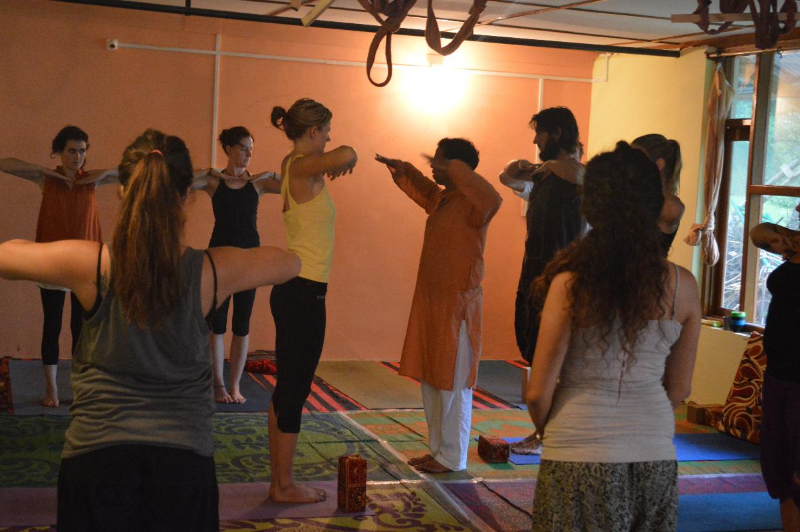 Dharamsala offers a perfect spiritual getaway to learn yoga and indulge in a vacation with so many things packed into one in our Yoga Retreats in Dharamsala, Himalayas at Mahi Yoga Centre in India. 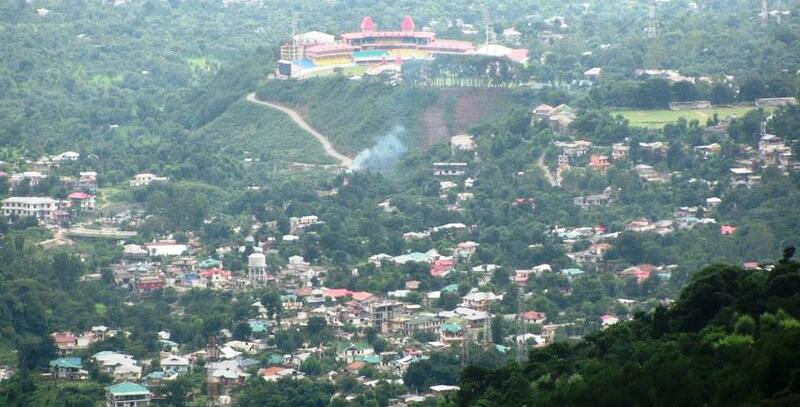 Dharamsala is one of the most popular yoga destinations in India. 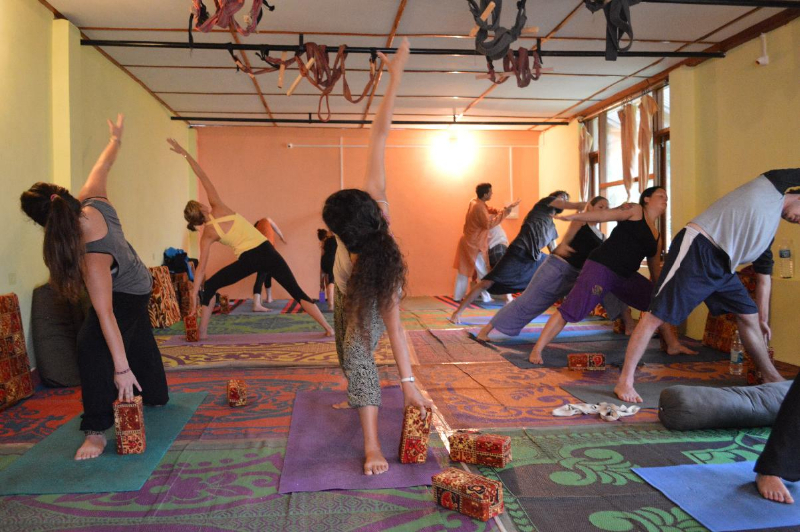 With its perfect natural setting lending spirituality to the atmosphere, and pleasant climate Dharamsala is home to many yoga retreats and people come from across the world to live this experience. Description: The course includes 4hrs of Asana practice, as well as one hour of Pranayama and meditation per day. We will practice in Mahi’s fully equipped studio, all props like hanging belts for Sirsasana, chairs, bolsters, blankets and mats are available. On the starting day, we will meet at the studio at 3 pm for an introduction meeting, followed by an Asana class. On the last day, the course will finish with a joined brunch after the morning class. The schedule will give you 6 hours in the day to take lunch, rest and enjoy the beautiful mountains here in their best climate of the year. Accommodation, food, and transport are to be paid separately. There are many guest houses and restaurants in the area nearby. 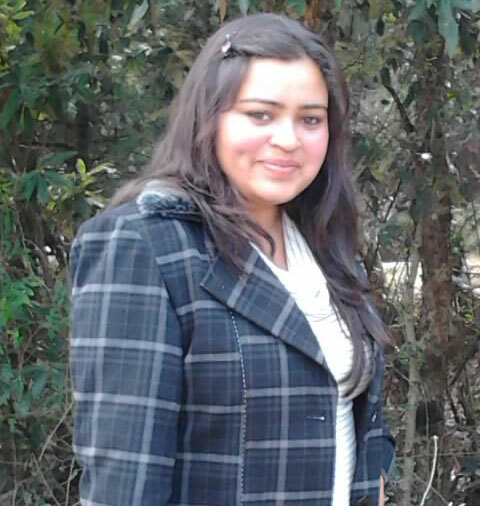 We recommend you to stay in Upper Bhagsu. As it is high season for Dharamsala, we recommend taking care of your accommodation before the course. If you need we can arrange you a room for 750 INR per night (single occupied). Let us know! You don’t want to feel alienated in the place – many foreign tourists come to Dharamshala round the year. Even the likes of Hollywood actors like Richard Gere have come here to visit his holiness, the Dalai Lama. To enjoy yoga in Dharamshala you don’t need to be an expert in yoga. 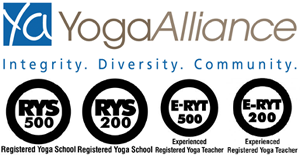 The retreats here welcome both novices and yoga pros, and teachers give professional guidance to their students to help them become profound yoga practitioners and yoga teachers. 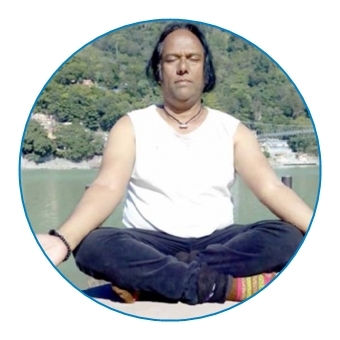 The atmosphere of Dharamshala is perfect for learning yoga and relaxing the mind. 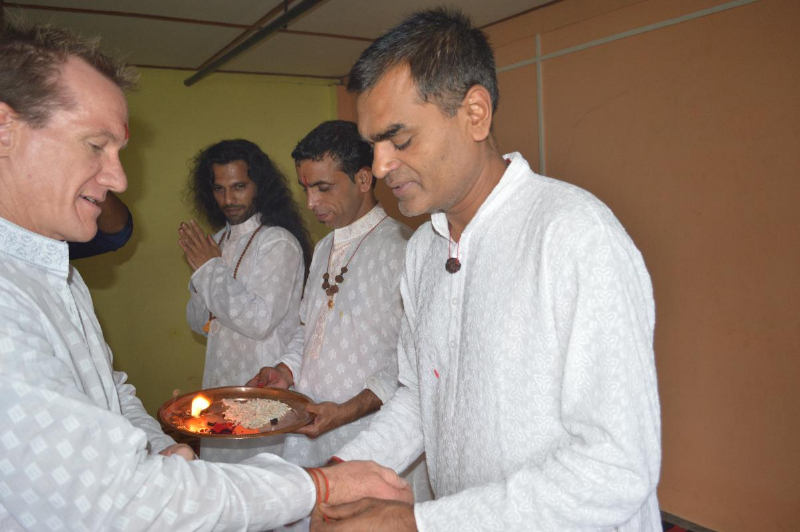 During your course here you will stay in a peaceful location in Dharamshala, away from the hustle bustle of the town where you can focus on your practice and indulge in some private time. You will also be able to visit the many tourist spots that the place is proud of. For those seeking to explore the Buddhist culture and blessing of The Dalai Lama can visit his residence in Mcleodganj. They can also visit the many monasteries in the area and the Tibetan school of arts and culture. Apart from learning yoga, one can indulge in many other things during their free time. This includes adventure sports, mountaineering, and rock climbing, paragliding; enjoying the scenic beauty of waterfalls and lakes, and having a rendezvous with history – this ancient city has mentioned in the writings of Alexander the Great also. Tucked away in a spur of the Himalayas, Dharamshala is a serene and peaceful location ideal for learning yoga and spending a quality holiday. The weather is fairly pleasant in summers with warmer days and cooler nights. 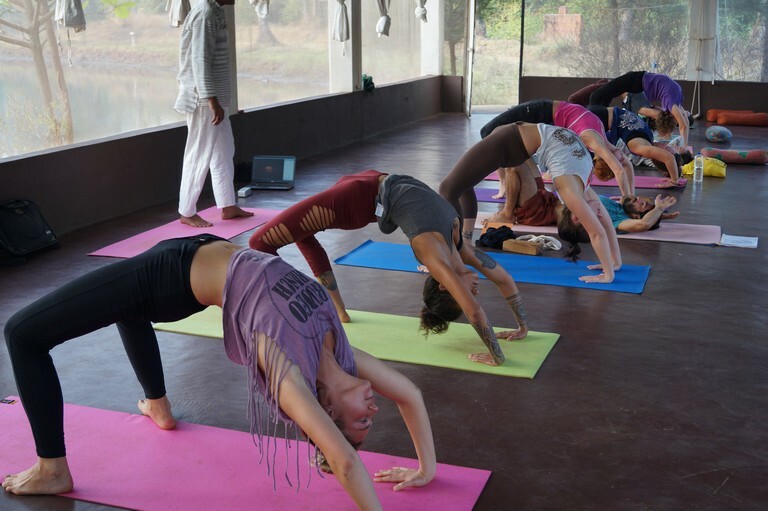 The retreats here offer diverse yoga styles and welcome students from all over the world. 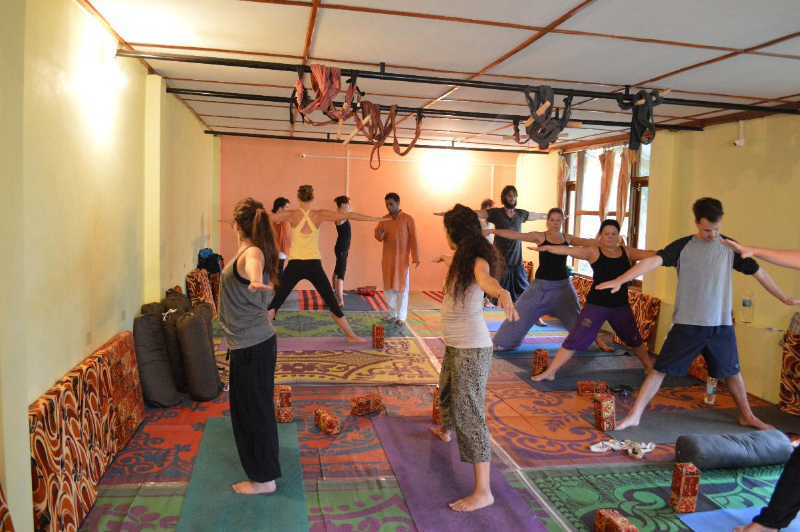 Choosing a yoga retreat in Dharamshala is an intelligent choice, one you will appreciate throughout your life. 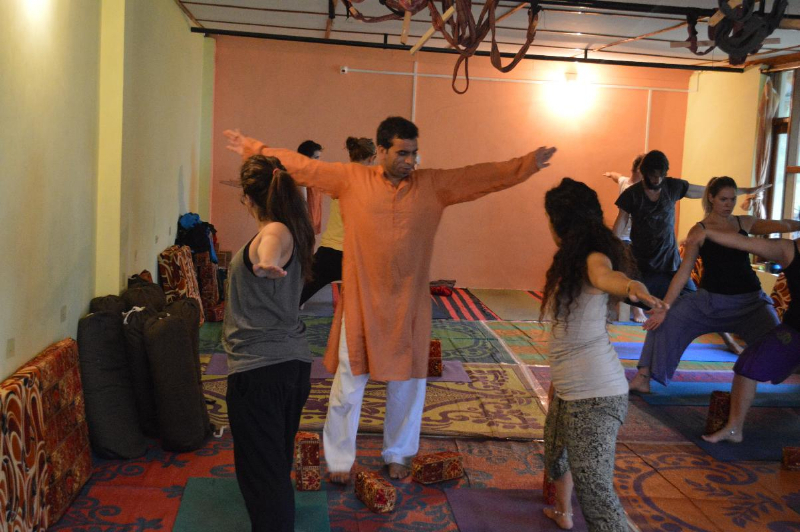 Check out our full Yoga Teacher Training Course in Dharamsala. For any query, help or more course dates do Contact us!